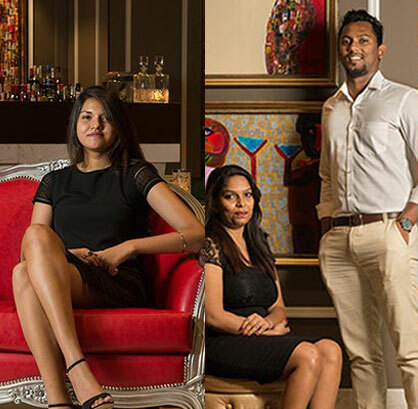 While holidays in the Maldives are more often associated with romance and honeymoons, there are also resorts that cater to the children and keep them happy. 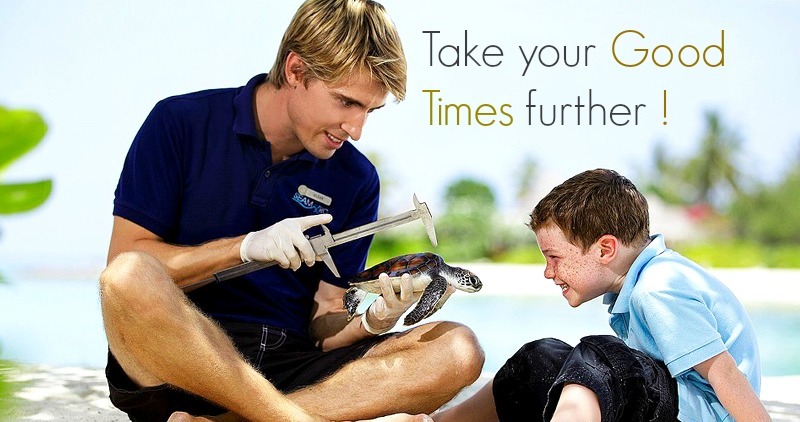 Kids love building homes for turtles and fish, with their bare hands! With the help of a marine biologist, the children attach corals to a frame which, in turn, will soon become a reef where live sea creatures will find a home. The best part- even after your have gone back home, every six months you will receive a picture of your growing coral home, via e-mail! Learn how to make your favorite pizza or dolphin-shaped cake yourself! 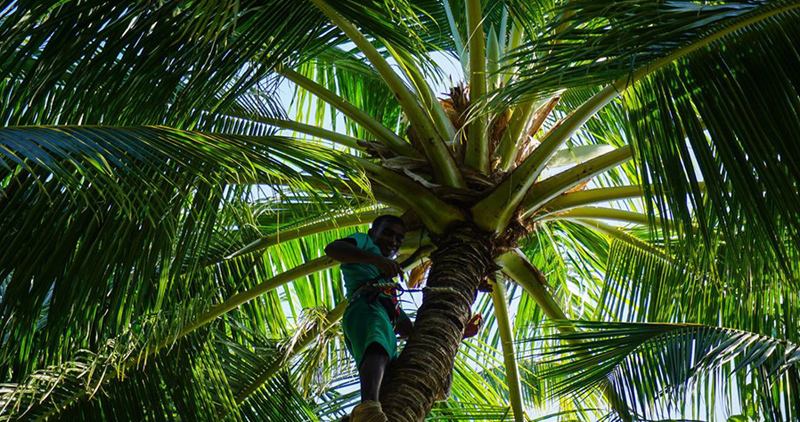 Once your food is prepared, sit down to eat it with your parents, complemented by some coconut water which the staff at the resort will climb a tree for, right in front of your eyes. What a great way to spend the morning- or evening- feeding the fish! 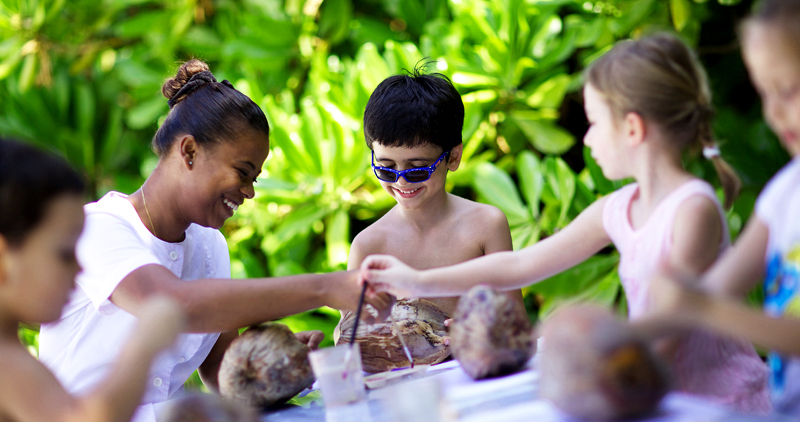 For example, at Shangri-La Villingili, there is a pond where large freshwater fish live. They love to eat bread; so that’s your task- feeding them plenty of it! 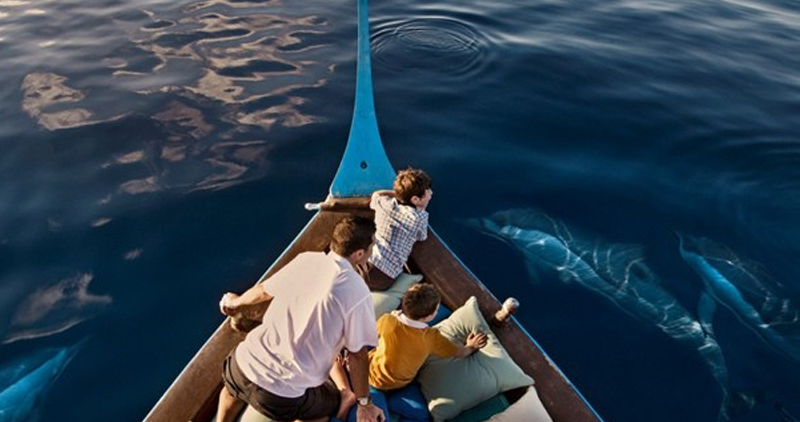 Take a boat ride and see the dolphins that live in the Indian Ocean. The hotel staff generally knows where to find these beautiful sea creatures. Dolphins love the sound of the motor boat and start jumping out and into the water in a lovely spectacle just for you! 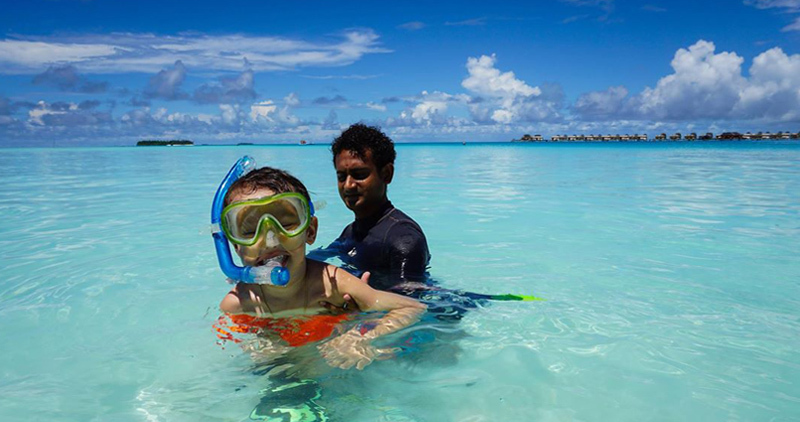 Even a 3 year-old can try snorkeling in the Maldives where experienced instructors will ensure your safety. 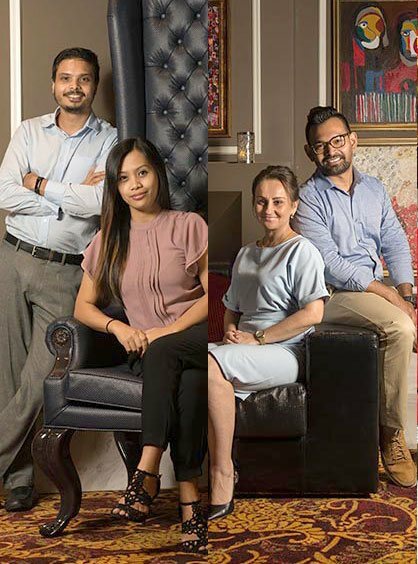 They are experts at helping children float and will guide them in their underwater discovery of marine life. 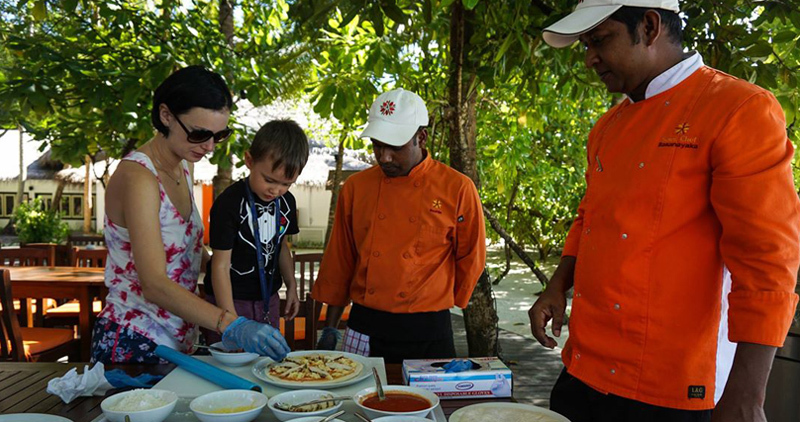 Most resorts in the Maldives have a Kids’ Club which offers a variety of entertainment for children such as treasure hunts, sea turtle-viewing with a marine biologist, indoor and outdoor playing, etc... with cover areas of education, adventure and entertainment. 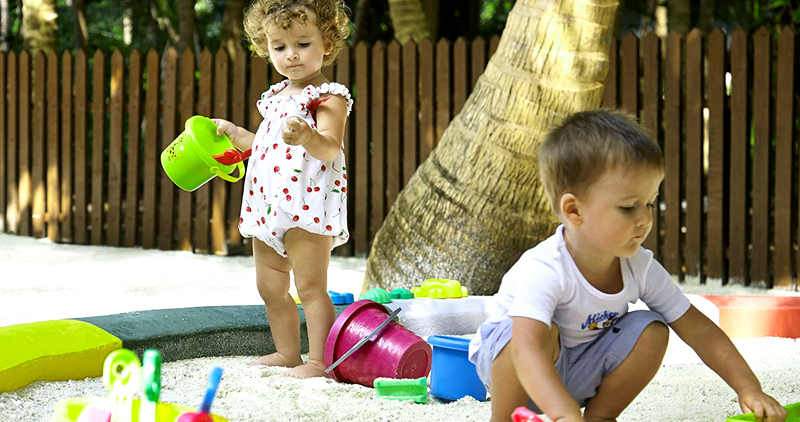 Parents can rest assured that their children are safe with a professional caregiver. 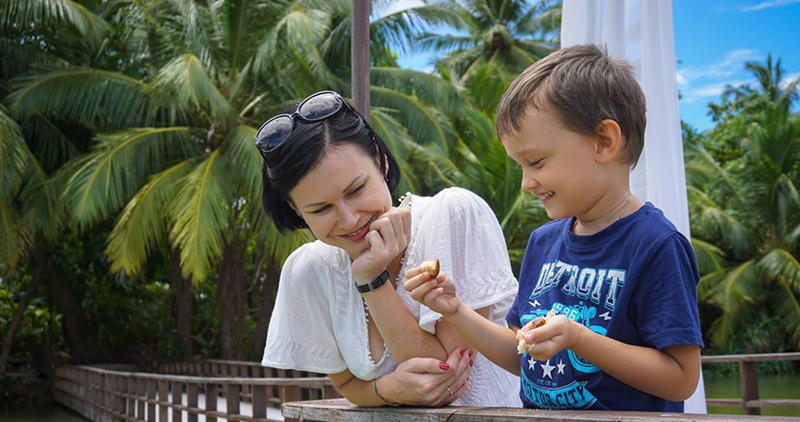 So really, the Maldives is a place for the whole family; wouldn’t you agree?